How much is Sisqo Worth? Sisqo net worth: Sisqo is an American R&B singer, songwriter, dancer, record producer and actor who has a net worth of $6 million. 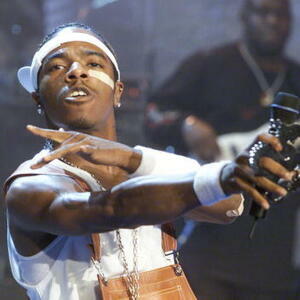 A singer-songwriter and producer, Sisqo became known internationally after releasing the hit song, "The Thong Song". He is a former member of the group Dru-Hill and has released three solo albums and two albums with Dru-Hill. 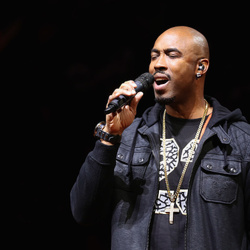 He was Born Mark Althavean Andrews on November 9, 1978, SisQó hails from Baltimore, Maryland, where he met the original members of his future band Dru Hill. They worked at The Fudgery in Baltimore's Inner Harbor at the time. When Woody Rock left Dru Hill in 1999 to pursue a solo career, the rest of the band followed suit. SisQó's debut solo album Unleash the Dragon was released in November 1999. It wasn't until his second release from that album hit the airwaves, Thong Song, that he experienced a runaway hit, followed by another hit called Incomplete. Both were major hits on the Billboard Hot 100 chart. SisQó's visual trademarks are his flamboyant stage costumes and signature outrageous hairstyles. His music awards include winning six Billboard Music Awards in 2000 and one MTV Video Music Award that same year. SisQó also appeared in four movies and eight television programs between 2000 and 2014; television shows include Celebrity Big Brother (2010 in the U.K.) and Celebrity Wife Swap (Season 2 Episode 9). He has a daughter with then 14-year-old Jamila Farid, Shaione (born 1995), and a son Ryū (born 2012) with girlfriend Elizabeth. Shaione (Shai, as she is called by her family) appears as the little girl in the music video for Thong Song.